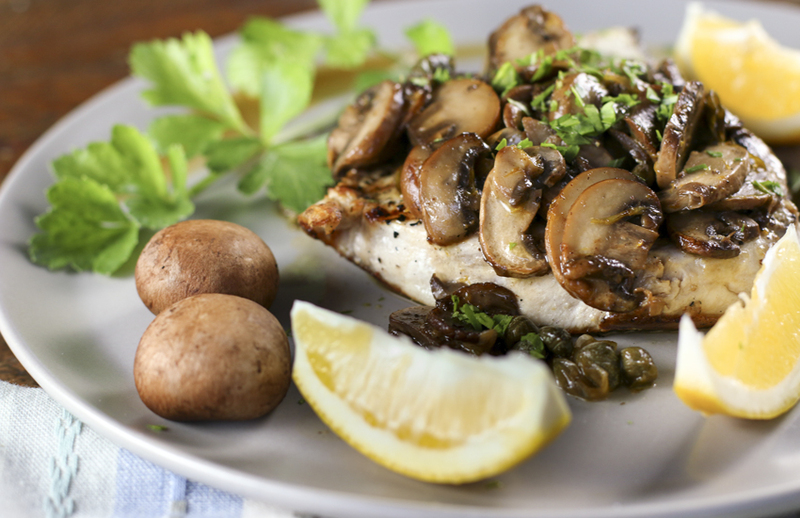 Looking for a way to make delicious weeknight main courses in under half an hour? Look no further. This cooking technique works for a variety of different proteins and results in juicy steaks, moist chicken breasts, perfectly done fish, and awesome rack of lamb. This is the technique many restaurants use to make your entree quickly and deliciously. And guess what? It is drop-dead easy and reliable. You will get great results every time. Heat oven to 400 degrees. Dry protein to remove any water or moisture. Season with salt and pepper. Heat an oven-proof skillet over medium high on the stove. Add a bit of cooking oil, butter, or a combination of butter and oil. When oil is hot, add the protein and sear a couple minutes on both sides. When the protein is nicely browned remove the pan from the stove and put it in the oven. Time will vary by the thickness and type of protein you are cooking, but I find most proteins are done within 5 - 12 minutes, including boneless, skinless chicken breasts, rack of lamb, 1" thick fish fillets and 1" thick cuts of steak. If you are unsure as to when your protein is done, buy yourself a good thermometer. You will wonder why you have been guessing all these years. Allow your protein to come to room temperature before you begin cooking it. For steak, chicken and lamb allow to rest 5 - 10 minutes before slicing. Serve fish right away. Chicken likes to be marinated in a oil and acid marinate. It adds flavor and helps to tenderize. I use olive oil and vinegar or lemon juice, citrus zest and whatever seasonings I have on hand. Make a little more than you need for the first night's meal. Use leftovers to make a hearty salad or sandwich for dinner the following night. It is always a good thing when you cook once to eat twice! 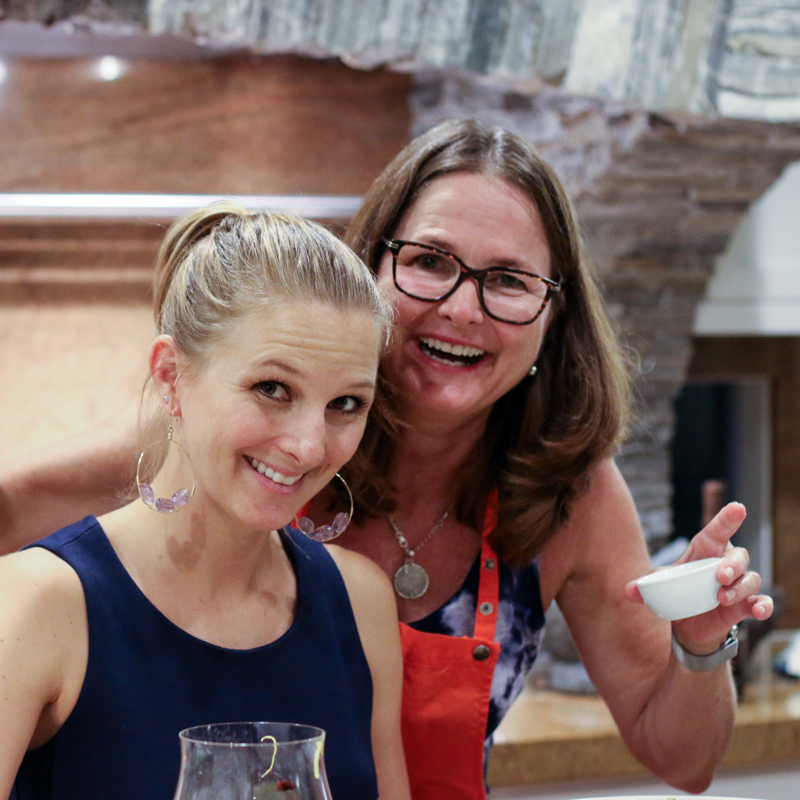 If you want some recipes that use this technique we have a variety, all are tried and true. You need a good ovenproof skillet. The most economical choice is a well-seasoned cast iron skillet. Lodge makes a 12" cast iron skillet that has plenty of room for several pieces of protein. Your cast iron skillet needs a little special care in terms of seasoning and thoroughly drying after each use. 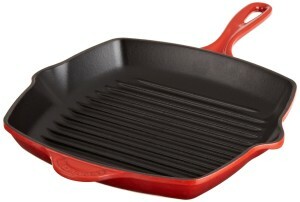 Le Creuset makes an enameled cast iron grill pan that leaves beautiful grill marks on your protein. No one will ever guess that you did not light up the barbecue. Enameled cast iron is easier to care for and will last a lifetime, but of course you pay a premium price for these lovely pans. Staub makes an over-sized 12" enameled cast iron skillet that provides a lot of real estate for several pieces of protein. Scanpan makes a great non-stick PFOA-free pan that is also oven-proof. I am a fan of their 12 3/4" skillet. You can use metal utensils on these durable non-stick pans. A good thermometer will keep the guesswork out of deciding when your protein is done. SNFD is an Amazon Affiliate and we make a small commision on anything you purchase through our links. Thank you for your support! Should you wash chicken before you cook it? The iron skillet/oven technique for cooking proteins in under half an hour caught my eye. When time allows, I love cooking my proteins on a charcoal grill. But, the extra 20 minutes to prepare the coals is not always available and in the high country of Colorado, the weather is not alway cooperative. So, we gave it a try with two 1-inch thick swordfish steaks. 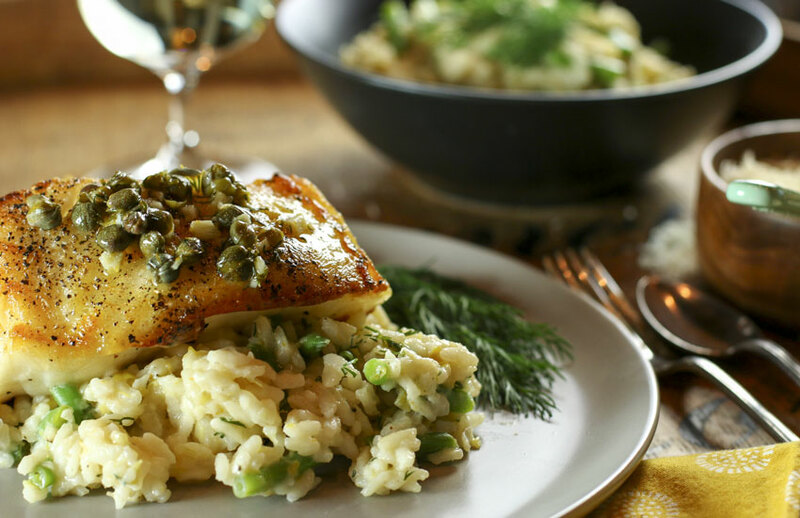 We let the fish set on the counter for about 30 minutes while we got everything else ready (see the Chilean Sea Bass recipe with Lemon, Dill and Caper Sauce). We followed the directions, using a combination of cooking oil and butter. The fish probably didn’t reach room temperature, so time in the pan on each side was extended by a minute or so. We used the Le Crueuset enabled cast iron grill pan. The grill marks it creates are a worthy visual addition to the finished product. The oven was pre-heated to 450 and the fish (in the cast iron pan) was ready in about 6 minutes (confirmed by thermometer). Per Kim’s directions, we served it right away. We thought we had cooked enough for left overs, but it was so tender, moist, and perfectly cooked that we couldn’t help but finish it all in one sitting. Mmmmm. A simple, tasty, and time saving cooking technique. I’m so glad the technique worked out for you Mike. You can also sear on the grill and finish in the oven if you want a no-watching method to grill. It comes in handy when you don’t want to stand watch over the grill. Thank you for writing in! I cooked my chicken last night using this technique and have never had juicier chicken! So simple! Thank you Kim. I’m so glad it worked out for you Anne. I rely heavily on this method for many proteins and am never disappointed.